Adam Basanta (b. 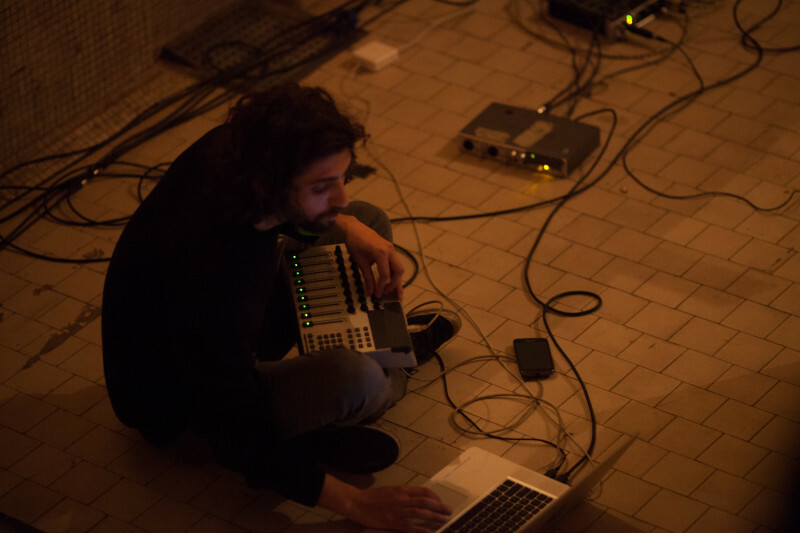 1985) is a composer and media artist, whose work traverses electroacoustic, acoustic and mixed composition, audiovisual installations, and interactive laptop performance. His work often explores aspects of listening, cross-modal perception, unorthodox performance practices, and the articulation of site and space. His music has been described as “frantic, noisy and gutsy” (Words and Music), “an electrochemistry of the new and old” (Boston Musical Intelligencer), while “the richness and dynamism of colour in his pieces stirs questions” (Musicworks). Boston, MA). His collaboration with dance companies (Henry Daniel, Troika Ranch, Kinesis Dance somatheatro) have toured internationally. He has received commissions for new works by Vancouver New Music, Codes d’accès (Montréal), Ensemble Allogène (Montréal), Krista Martynes (Bass Clarinet – Montréal) and VANOC Cultural Olympiad. His audiovisual installations have been presented in Eastern Bloc Gallery (Montréal), Concordia University (Montréal), Espace Projet (Montréal), Scotiabank Dance Centre (Vancouver), Artscape Wychwood Barns (Toronto), and the Bridge PAI Gallery (Charlottesville, Virginia). Adam Basanta is the research coordinator at matralab.